Robert R. Bianchi says, Iran, along with neighboring Turkey and Pakistan, “enjoys an irresistible combination of geographic advantage, market size, natural resources, and regional political influence” to help realize the new Silk Road, also known as the “One Belt, One Road”. Q: We witness that China is trying to revive the ancient Silk Road. Why? A: China’s New Silk Road initiative—also known as the “One Belt, One Road” strategy—seeks to translate China’s economic strength into greater political influence around the world. The project is a comprehensive effort to integrate all of Eurasia and Africa, creating an interconnected megaregion encompassing the entire Eastern Hemisphere and linking the Pacific and Atlantic Basins through the Indian Ocean and the Mediterranean Sea. The wider geopolitical goal is to rival—and perhaps surpass—America as the preeminent global power, but to avoid open warfare for at least a decade or two so that China can strengthen its still modest military capacity. There are also several national and regional objectives such as stimulating the development of China’s backward western provinces, putting surplus foreign exchange to work in profitable overseas investments, exporting the overproduction of inefficient state industries, and building multiple overland routes for vital energy imports instead of relying on vulnerable sea lanes that can easily be cut by the American Navy. Q: What can be the importance of Iran in this big project? A: Iran is one of a handful of countries that are indispensable to making the New Silk Road a success. Along with neighboring Turkey and Pakistan, Iran enjoys an irresistible combination of geographic advantage, market size, natural resources, and regional political influence. Indonesia and Nigeria occupy equally important positions in Southeast Asia and West Africa. China is eagerly courting friends in each of these countries because it sees them as the anchors of its planned network of transcontinental and transoceanic influence. Growing attention from China will also encourage all other great powers —particularly Russia, the United States, Europe, and India—to compete for favor by offering attractive economic and political inducements. 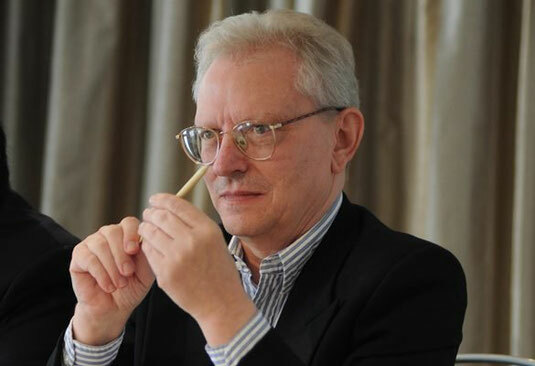 “Iran is likely to follow China’s example of bypassing the European Union in favor of cutting bargains with individual governments and businesses,” Shanghai International Studies University Professor Robert R. Bianchi says. Q: How does the EU look at China’s move in reviving the ancient Silk Road? Doesn’t the EU consider it a threat to itself? A: Every region of Europe is participating in multiple Silk Road projects because Western Europe is the major destination for Chinese exports and a major hub for transshipment to Africa, the Middle East, and the Americas. Throughout Europe, Chinese investment is supporting a host of megaprojects including sea ports, high-speed trains, expressways, pipelines, airports, power stations, and industrial zones. European Union leaders in Brussels complain that member states are negotiating separate deals with China which undercut efforts to develop union-wide policies on trade, human rights, and diplomacy. NATO officials fear that China’s growing influence in Europe will prevent concerted Western responses to Russian assertiveness and to recurrent crises in the Middle East and Africa. Hence, the more that China appeals to the economic interests of national governments and business leaders the more troublesome it appears to the defenders of pan-European and trans-Atlantic alliances. Q: Can the revival of the Silk Road result in an improvement of Iran-EU relations? A: Iran is likely to follow China’s example of bypassing the European Union in favor of cutting bargains with individual governments and businesses. Iran’s trade relations can grow in many directions at once, not only with Europe but also with Russia, China, India, and Pacific Asia. Because these conditions encourage flexibility rather than long-term commitments, Iranian leaders will want to keep their options open. If deals with one European partner turn sour, Iran can move elsewhere in Europe and beyond. Naturally, Iran’s ability to benefit from these multiple opportunities depends entirely on avoiding a re-imposition of international sanctions.